Travel agents in Australia and New Zealand only have a few more days to participate in Viking’s river cruise trade incentive. Launched on August 1, 2018, this incentive is designed to reward the travel agent who sells the most Viking river cruises before November 30, 2018. The agent with the most Viking river cruise bookings deposited will win an 8-day Lyon and Provence river cruise for two, departing March 24, 2019. 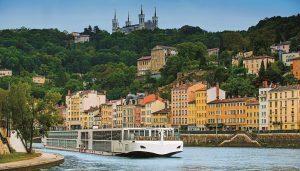 The fabulously French eight-day Lyon and Provence itinerary covers all the highlights of Lyon, Tournon, Viviers and Avignon while leisurely cruising the beautiful Rhône River. The cruise includes all on board meals, wine and beer with lunch and dinner, a free shore excursion in every port of call and free Wi-Fi.